I’ll write something more in-depth and “professional” later. Something that highlights the dozens of talented and special people I’ve met and talked to. Something that properly thanks the hundreds of hours of hard work and the volunteers that make Crossroads work. For now, I need to express my gratitude to the conference goers (patrons and authors) for being such a welcoming group of people. As I write this, I am propped up in a comfortable bed in a corporate hotel room with beige walls. Not special, perhaps, but it is quiet and safe. I have (somewhat) recently identified that I actually have some social anxiety. Anytime I am in a room with several people that I don’t know, I become quickly overwhelmed. I’m not terribly good at small talk. In high school, I was never a “cool” kid and the cool kids certainly didn’t talk to me. I was, and still am, the dork, the nerd, the awkward girl who would pretty much always rather be reading. So, going to a conference for someone like me is a little bit tough. Not for the sessions — that’s like going to class and that is something I was always perfectly good at! — but for the social settings. 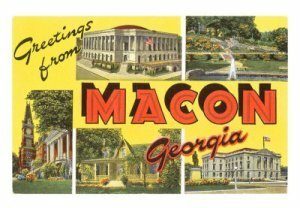 Last night I bounced around Macon with my writerly friends, holding court at a local pub. This is something I never thought I could have done. It was only because of the people I was with. These writers are so welcoming, encouraging and friendly. Tonight, there was a fairly boisterous party for the attendees. It was everything that makes me nervous — it was loud, crowded, and there were so many new faces. After giving myself a few minutes of a breather, I rejoined the party (thank you, Cat). And somehow I managed to allow myself to enjoy the gathering. I made the conscious choice to remain at the hotel, while the rest of the crew headed downtown. I was torn. It is one of the few times I have felt truly welcomed, that people wanted me to be there. But I also knew there would be a time that I would get that nervous feeling and want to leave, but I wouldn’t have a way to get back. All this is to say that although I’ve tried to say this in person, I want to make sure all my fellow Crossroaders know that they have made me feel so welcome. If I could be there with you, I would be. Baby steps. You have already helped me get out of most of my shell and, for now, that has to be enough. We are now the cool kids. Thank you for letting me be one of them. Hey Meaghan, I just wanted to say it was a pleasure meeting you and thanks again for the lift when I missed the shuttle! Also, I wanted to tell you that you are not alone in these feelings of social anxiety, especially in situations like the party on Saturday night. I guess I got there a little early and did not recognize anybody and wanted to bolt, it took quite a bit for me to stay. It got easier when people I recognize showed up and I’m very happy I stayed. Anyway, I just wanted to second your appreciation of everyone at Crossroads being so incredibly friendly, approachable, and making me feel welcome as well, (including you!). I hope to see you at the next one. Meaghan, love that you embraced this experience and took the time to write this. From the very first I considered you one of the cool kids when I saw you with your twitter handle on your name badge and I am sorry I didn’t have more of a chance to talk to you. I read your post to my cousin Sherry Moore-Williamson and she also says thanks for writing this and she hopes to see you back at next year’s conference.